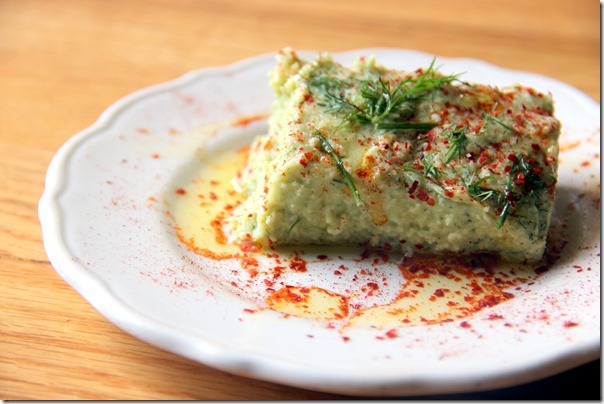 A popular meze dish in Turkey is a fava bean spread is a simple, yet delicious appetizer to dinner. 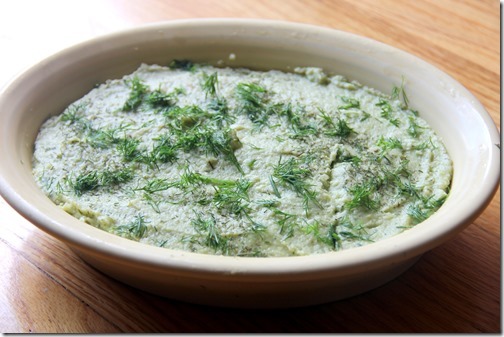 Its flavor is subtle, with only olive oil, onion, and salt to smooth it out, and a touch of fresh dill to invigorate the senses. This fava bean spread recipe goes down easy and is a great dish through which to get your protein and fiber in an easily digestible, plant-based way. Enjoy! Spread on toasted bread, serve until a cooked white fish filet, mix into salad greens, or eat by the spoonful. However you go about it, get this delicious spread into your body and soon, you’ll be yearning for more. Fava beans: are high in vitamins K and B6, potassium copper, selenium, zinc, and magnesium. They have no saturated fat or cholesterol and are an inexpensive source of lean protein. Fava beans contain 177 micro-grams of folate, or 44 percent of the RDA, helping in the synthesis of DNA, RNA, and red blood cells as well as in the reduction of heart disease, cancer, and depression. Fava beans also help to prevent anemia with its iron content as well as arthritis, osteoporosis, and diabetes with its manganese content. Fava beans are also essential to healthy digestion, as 1 cup of it provides 37 percent of the RDA of dietary fiber. Slice 1-inch down from the top of each garlic head, drizzle each with olive oil and wrap in a aluminum foil. Bake for 30 minutes at 400 degrees Fahrenheit. Remove from oven and let them sit at room temperature until they cool down. In a food processor, squeeze un-sliced ends of the garlic heads with your hand so that the cloves easily slip out. Peel and roughly chop the onion and add to the processor. Add the remainder of the ingredients. Blend until smooth. 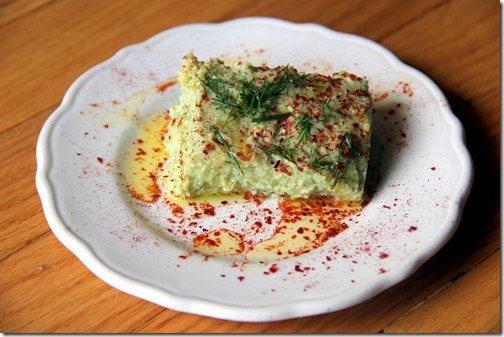 Serve with a drizzle of olive oil, dash of paprika, and dill garnish. Enjoy! 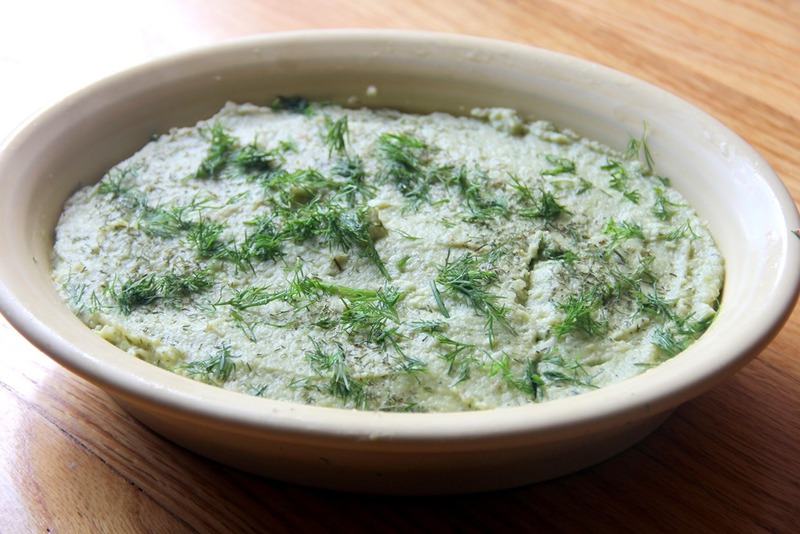 This entry was tagged dill, dip, fava beans, garlic, olive oil, onions, paprika, side dish, vegan, vegetarian. Bookmark the permalink.